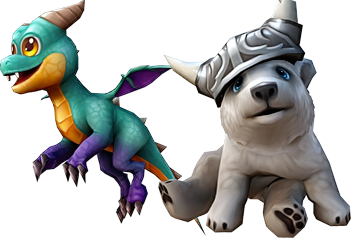 KingsIsle has launched a new update to EverClicker, which brought many great and cool features to the game, including player guilds and new pets (image below)! To celebrate these fun updates, KingsIsle is starting the Final Hit Event for Wizard101 and Pirate101 players. Play it right, and you can earn up to 2,000 Crowns per weekend! Each weekend through September 10th, be the player to get the Final Hit on a Time Gate and you'll receive 1,000 Crowns! 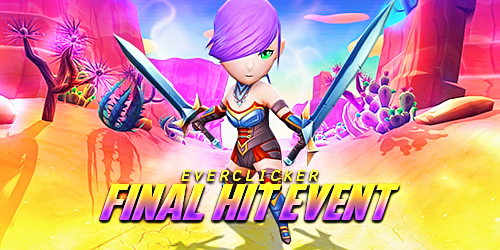 Once you get the Final Hit, you will receive a message in your EverClicker in-game mailbox with a code that you can redeem for Crowns in Wizard101 or Pirate101. Follow the instructions in your EverClicker mailbox message to redeem your free Crowns code. Be careful not to delete your mailbox message if you don't plan on redeeming your code right away! You're eligible to win two Final Hits per weekend, for up to 2,000 Crowns! You can download EverClicker on Google Play, iTunes and Amazon.